Genesis Integration Inc. has expanded its reach across Canada with the purchase of assets from Edcom Multimedia Products Inc., based in London, Ontario. Genesis, a Canadian collaboration firm, has agreed to purchase the assets of Edcom and take over operations. In addition, Genesis will provide material and personnel support to Edcom, to facilitate Edcom’s warranty obligations to its clients. "In situations like these, there are always difficult conversations to have, but as one chapter ends, another begins," said Kelly McCarthy, president of Genesis Integration. "We look forward to the Edcom employees joining Genesis and working with the clients and suppliers of Edcom." Genesis Integration's partnership with Edcom will help ensure that client warranties, services, and products are well cared for. 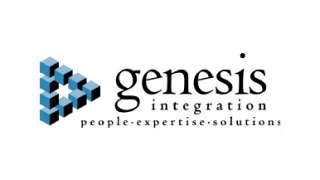 Headquartered out of Edmonton, Alberta, Genesis Integration has grown from a staff of two to a team of more than 100 across its Canadian offices in Vancouver, Calgary, Toronto, and Ottawa, and now Windsor, London, and Waterloo.